Where are you now? What are you doing, and what does your work involve? I'm in my second year of medical school at the University of Pennsylvania, so right now my work involves a lot of studying. Through Penn, I also co-lead a community outreach program that provides health science lessons to elementary schoolers and I'm starting to become more involved in the world of advocacy. How have you drawn on your experience in the Writing Center since graduating? I've certainly drawn on the technical skills I gained in the Writing Center since graduating, especially when working on my personal statement for medical school applications. However, I've drawn even more heavily on the interpersonal skills I developed as a peer tutor. It's been very rewarding to realize that so much of the guidance I received on how to build rapport and trust with students while working on their writing translates to how I can work to develop respectful and healing relationships with patients. Navigating dynamics of vulnerability, time constraints and power differentials, just to name a few, as a peer tutor in the Writing Center was fantastic foreshadowing to the personal development I'm undergoing now as I learn to become a physician. How did you come to your current position? What have you done since graduating? 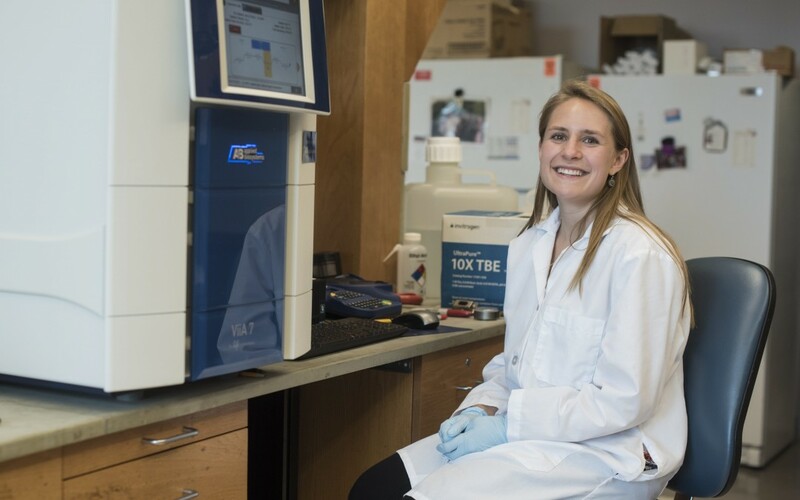 After graduation I spent one year working in a biomedical research lab before starting medical school, a position that came out of a summer internship I did while at Haverford. What role does writing have in your daily life and work? While I don't spend a ton of time writing in my daily life right now, outside of the never-ending stream of emails, I'm interested to see how my relationship with writing will evolve when I begin my clinical rotations and start to experience the electronic medical record system firsthand. Anyone whose been to a hospital or clinic in the post-paper charts era will have noticed that physicians actually spend a good amount of time, perhaps too much time, documenting patient encounters on the computer. While some might not consider that "writing" at first glance, the notes and letters that physicians construct are often incredibly narrative and require a tricky balance between recording one's own medical perspective and accurately reporting the experiences expressed by the patient. What’s something you’ve learned about writing that you’d like to share with Haverford writers? I'll never forget what a revelation it was to learn in Prof. Kristin Lindgren's freshman year writing seminar that it's okay to write "blah, blah, blah" in a draft in place of a sentence (or even paragraph) that you know needs to be there but you just don't have figured out yet. I'm no stranger to the paralyzing fear that can come with staring down a blank word document and having no idea where to start because you're too worried the end result won't be good enough. Hearing a professor who I respected so much say that it was okay, and even valuable, to have a truly *rough* first (or second, or third...) draft as you find your ideas and voice was liberating - a lesson I've found applicable not only to my writing, but honestly to my life in general.